2. 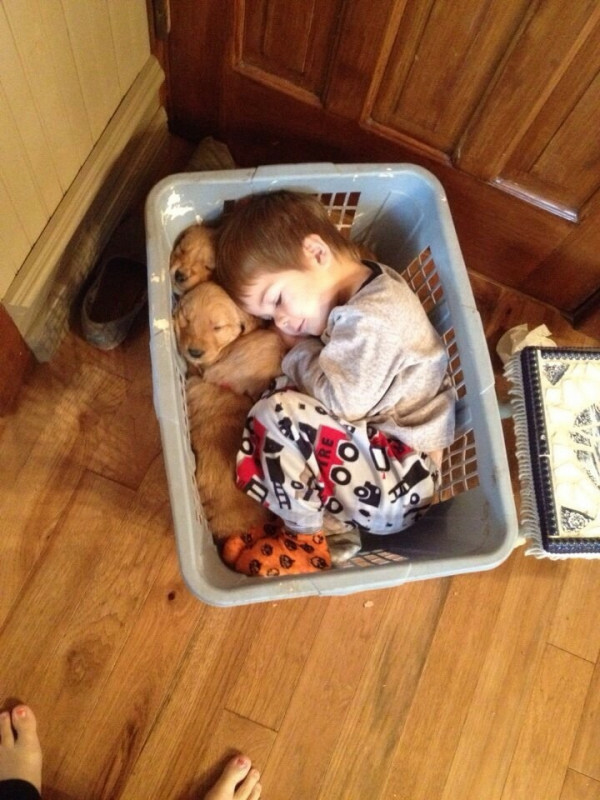 Some washbasins are perfect for puppies. 4. 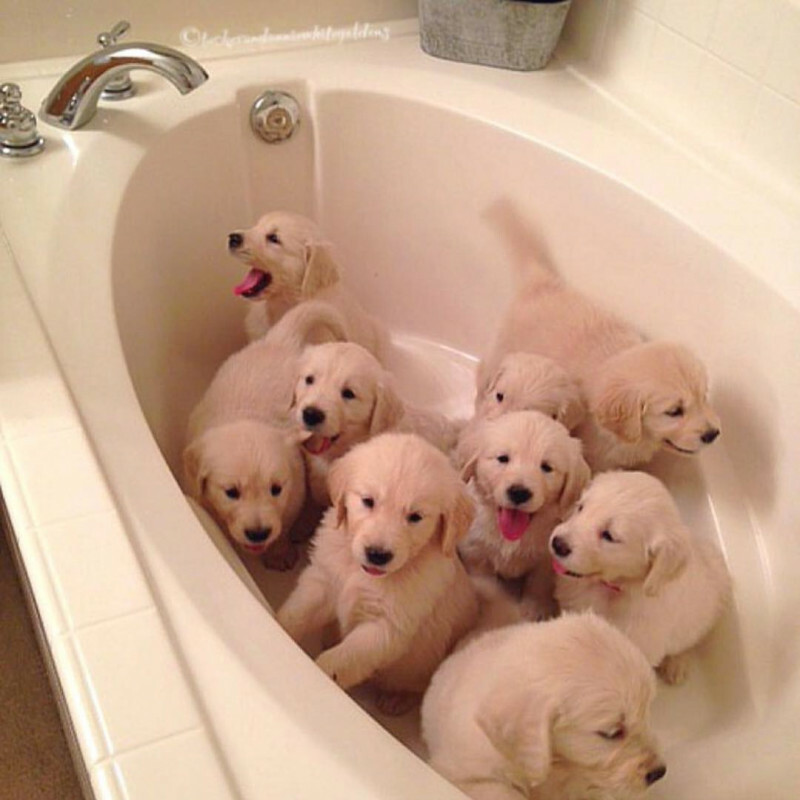 "My girlfriend is choosing a Golden Retriever puppy." 5. 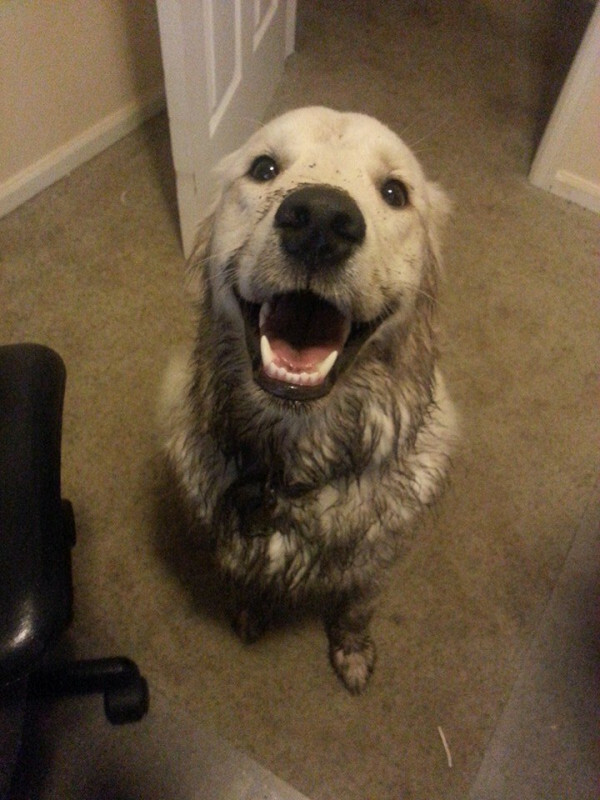 "My Golden Retriever had some fun with a puddle while I was distracted." 6. 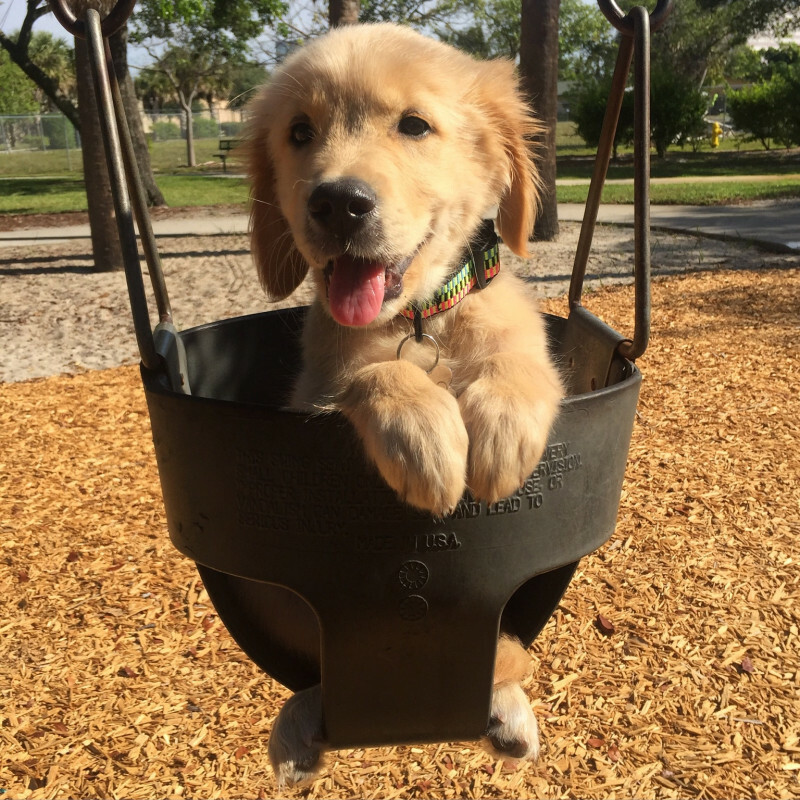 It's not just kids who like swings. 8. 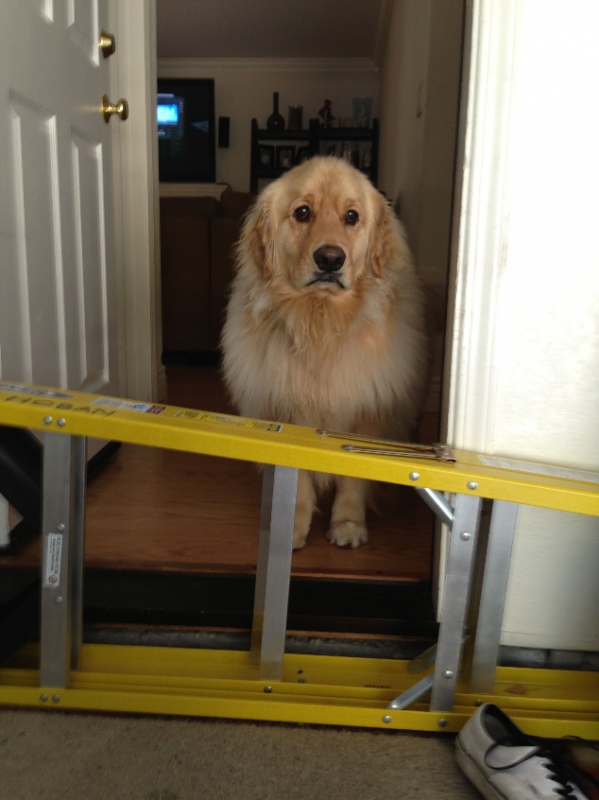 "My dog is too scared to jump over a ladder that is half his height." 10. No, it's not a stain, it's a birthmark. 11. 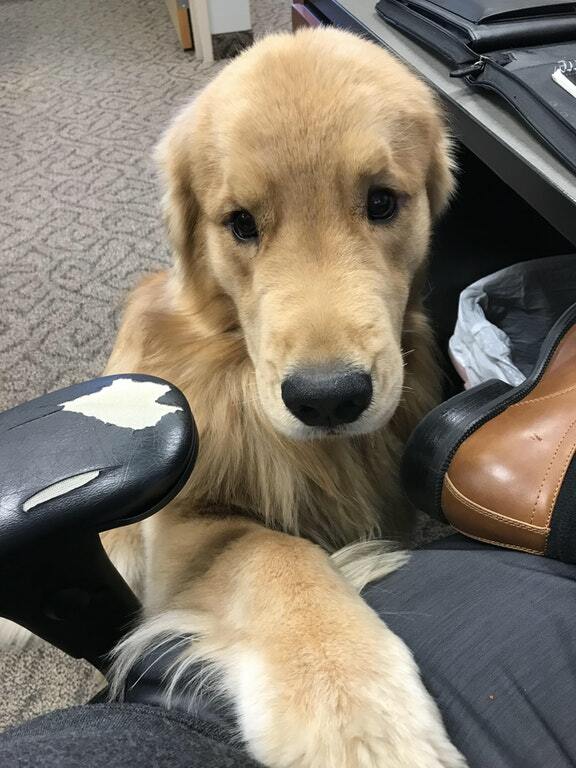 "We have an office dog and he visited me today." 13. 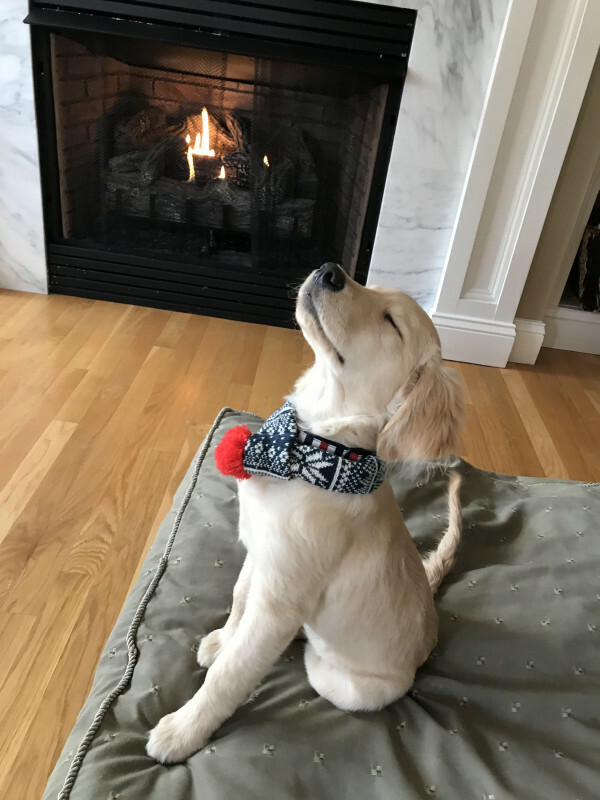 "My little dog is ready for winter." 14. 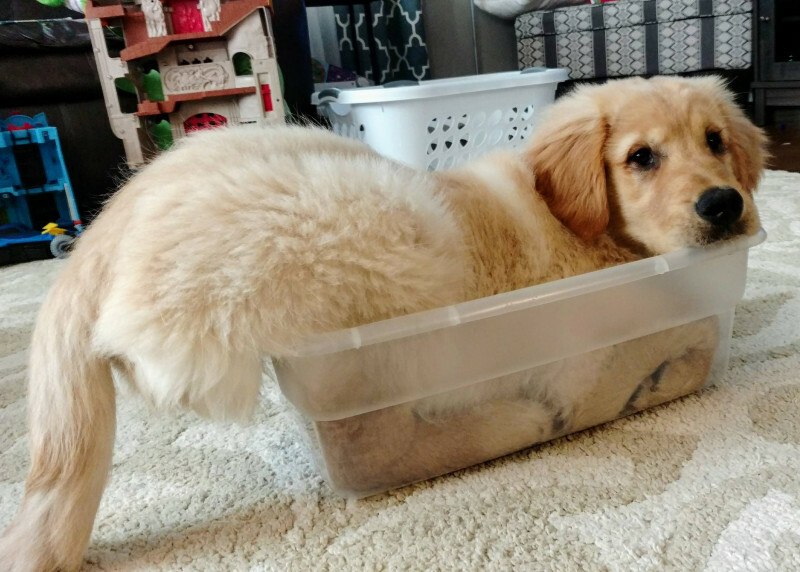 "I'm pretty sure Wally thinks he's a cat." 15. 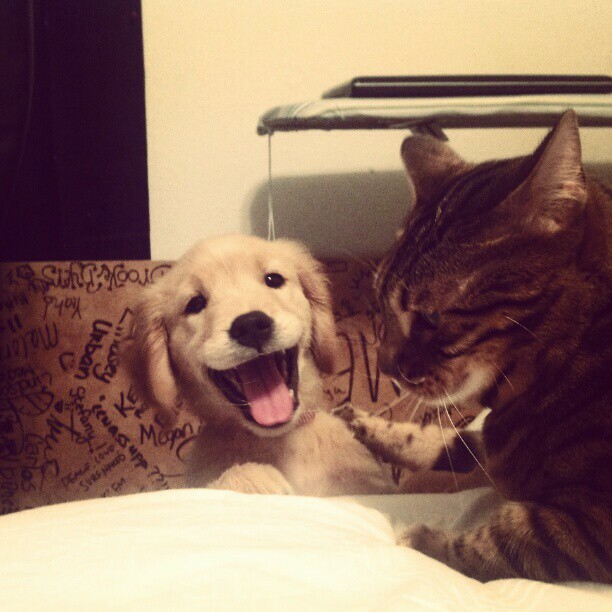 "My very photogenic Golden Retriever and my Bengal cat." 16. This guy here is not only photogenic, but a real happy snapper too. 17. Early morning walks are overrated. 18. Not a big fan of winter. 19. 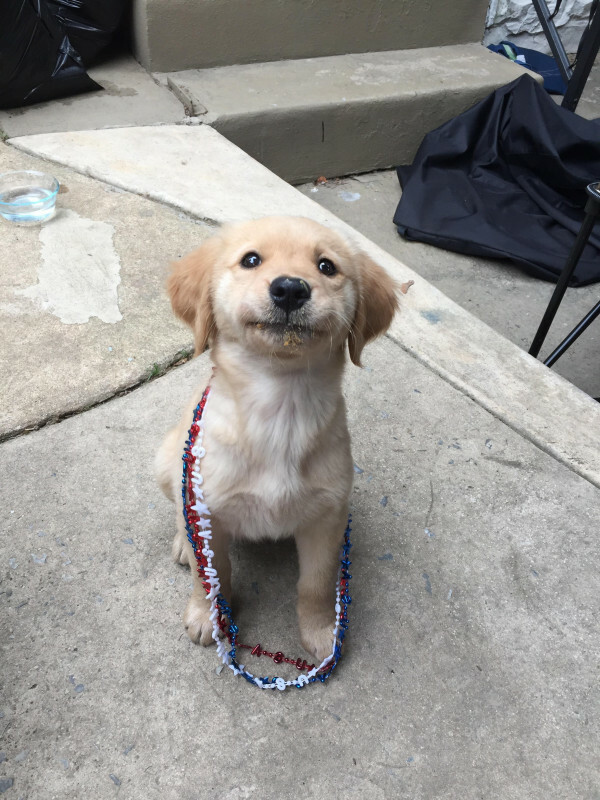 "Hi guys, I hope you have a great Saturday!" 20. Cuddly and endlessly cute. 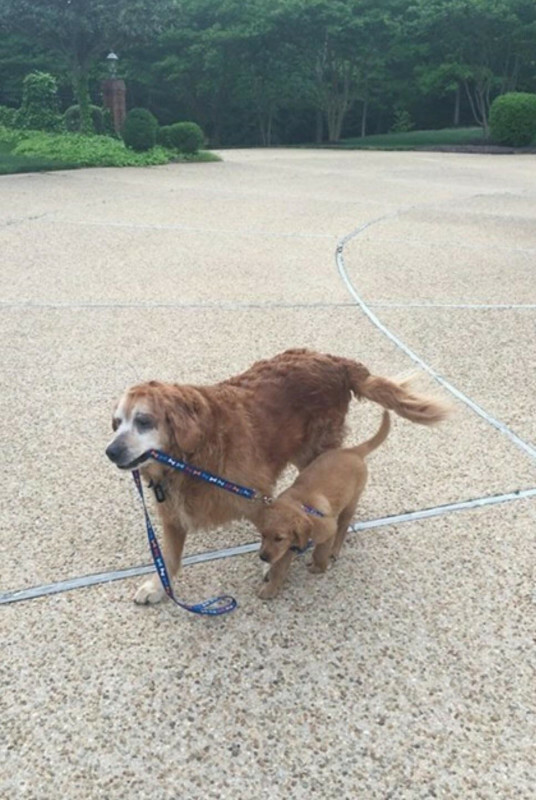 Unsurprisingly, these delightful dogs melt countless hearts. 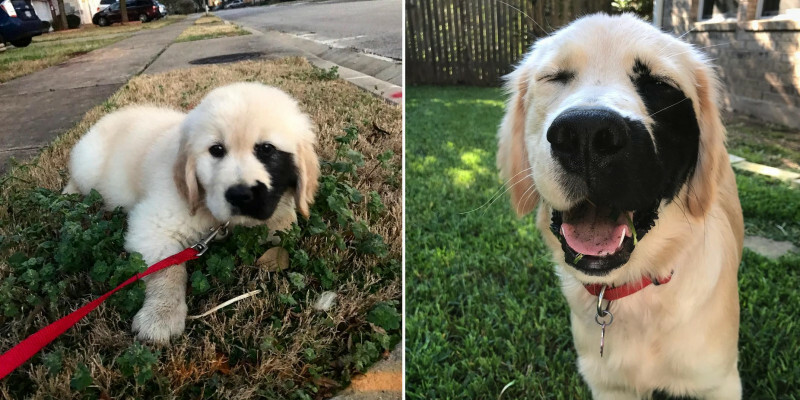 If anyone feels the urge to buy their own Golden Retriever after seeing these pictures, we can tell you you're definitely not alone!